There will be a boys and girls cross country informational meeting Monday, May 22nd at 7:00 PM in the WCHS Media Center. This meeting is for all current and future Warhawks interested in running cross country for Central next school year. Both parents and runners are encouraged to attend. 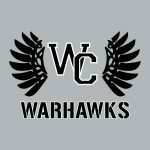 Boys Varsity Track, Girls Varsity Track · May 5 Warhawk Track and Field Invite Tonight! The Westerville Central tack and field teams will host the 2nd Annual Warhakw Invitational tonight at Otterbein University. The evening will begin at 4:00 pm with the Senior Night Ceremony to honor all the Warhawk seniors and their parents. 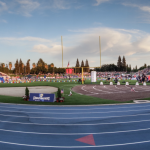 Field events will begin at 4:30 pm and track events at 5:00 pm.